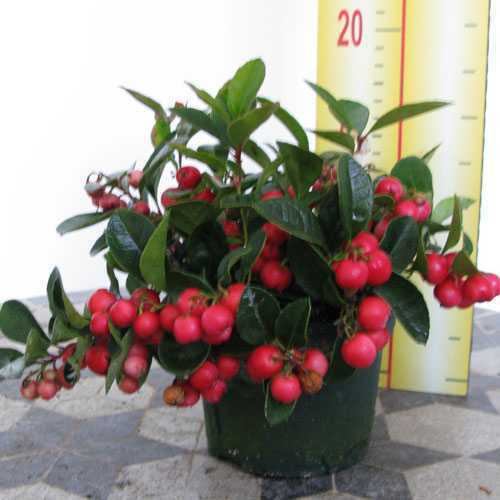 Gaultheria Procumbens (Checkerberry) is a small low growing shrub. 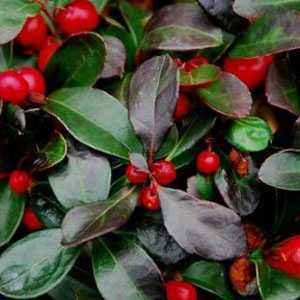 The leaves are evergreen with a distinct oil of wintergreen scent. It has white bell shaped flowersin the late summer and red berries in the autumn. 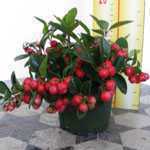 It is ideal as a ground cover plant.